February seems to have comes and almost goes before I’ve had a chance to blink. 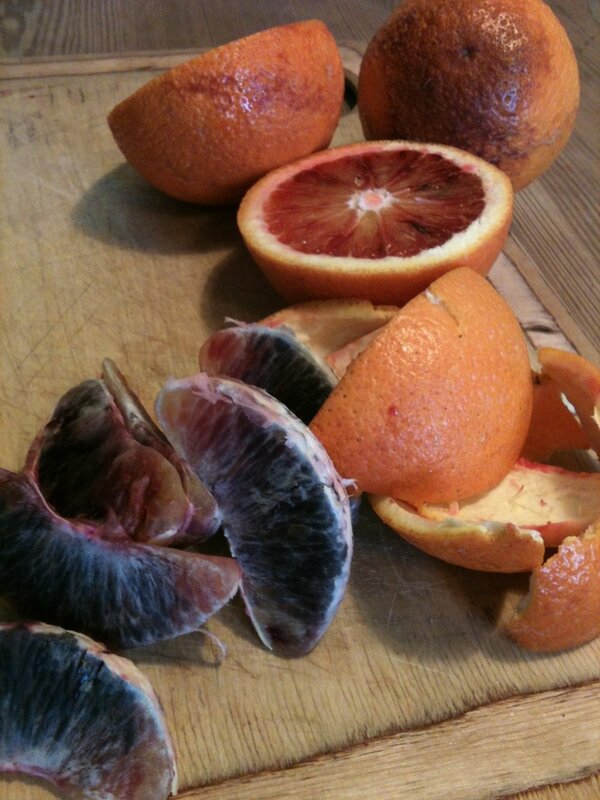 I had been thinking of a winter delights, blood oranges, they are in shops for such a short time, so grab them while you can, my favourite way of eating them is simple, eat them just as they are, peel and saviour that bitter sweet taste, no cooking required just keep something to hand to catch the juice. The other ingredient to my February is a blast of fresh air, this year i escaped from London, but any green space can be a treat, as the snowdrops, crocuses and daffodils show themselves. February always seems to have a few wonderfully bright sunny days, that remind me that spring will eventually follow. It can be a great time of year to recharge in readiness for spring. When i told a friend i was planning some time away she sent me this blog http://www.marksdailyapple.com/how-to-design-a-successful-personal-retreat/ so it seems I am not the only person with this in mind, and I love the idea that all you need to do if life is busy, is turn your phone off for a day and give yourself permission to have time for yourself.